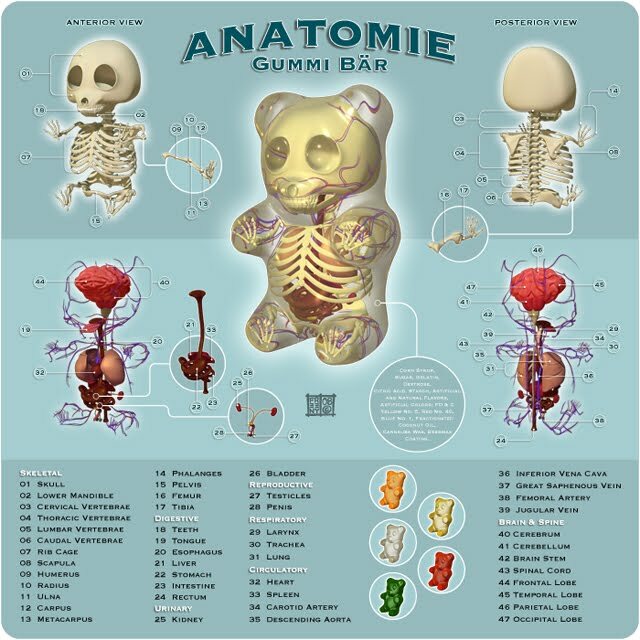 Ever wonder what's inside a Gummi bear? 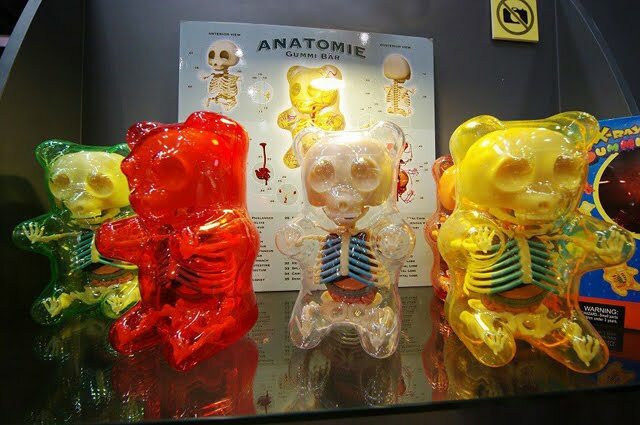 Well wonder no more as New York City based artist and designer Jason Freeny has released these colorful Gummi Bear Anatomy Toys. and here I was thinking all they had inside was high fructose. Freeny will be offering signed versions for purchase. You can stay informed on when they become available via his MoistProduction blog. 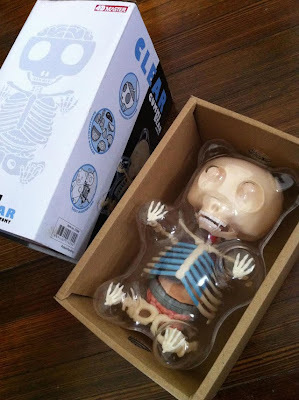 In the mean time unsigned versions of the clear Gummi Bear Anatomy Toy, are currently available to purchase at Yoyamart and Pylones USA.